20th century corporate reporting practice can be likened to a tap: the flows of information are periodic, uni-directional and controllable by individual actors. In contrast, 21st century corporate information flows are more like a lake – all participants in the system have the opportunity to use the water (information) in the lake in multiple ways, including creating, distributing and consuming corporate performance information. How should the players and participants respond? Jyoti Banerjee of Fronesys lays out the case for why we cannot hope to use yesterday’s operating system “tap” technologies to drive today’s deeply-needed reporting systems reboot. On the other hand, the 20th century presumption that the annual report is the dominant life-form for the communication of corporate information looks less appropriate in the 21st century. 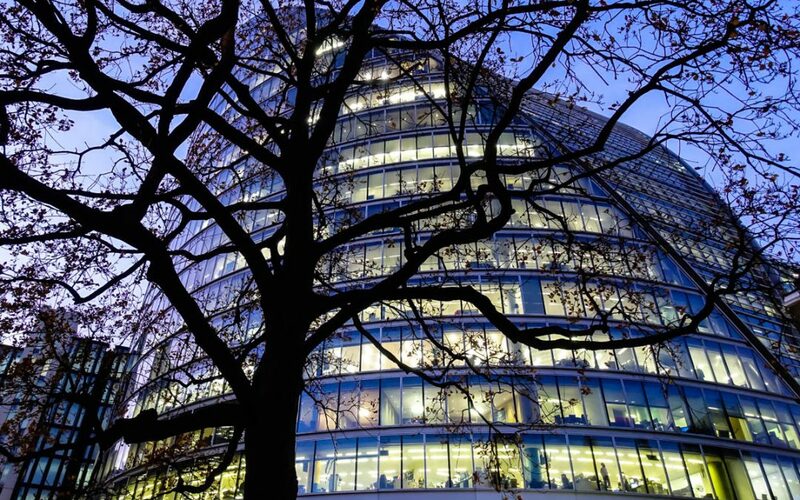 Corporate reporting is already changing, driven by the need to move away from backward-facing reports that focus on financial activity alone and are devoid of any explanation of how organisations create (or destroy) value. ESG reporting and integrated reporting exemplify the changes that are already taking place, but none of the alternative reporting approaches available have provided a comprehensive response to the limitations of the 20th century model for the present times. Nor do contemporary reporting approaches address the challenges raised by the digital trends sweeping the system. Thanks to technology’s enabling power, the flows of information are changing all around us, and further thinking in corporate reporting needs to be driven by these changing flows, rather than simply streamlining incremental changes from within the reporting paradigm. The goal for any change in the “system” has to be greater transparency, both inside and outside the enterprise. This short paper explores the changes and asks how the participants in the system might wish to respond. controllable by individual actors – this is particularly so for the reporting company itself. 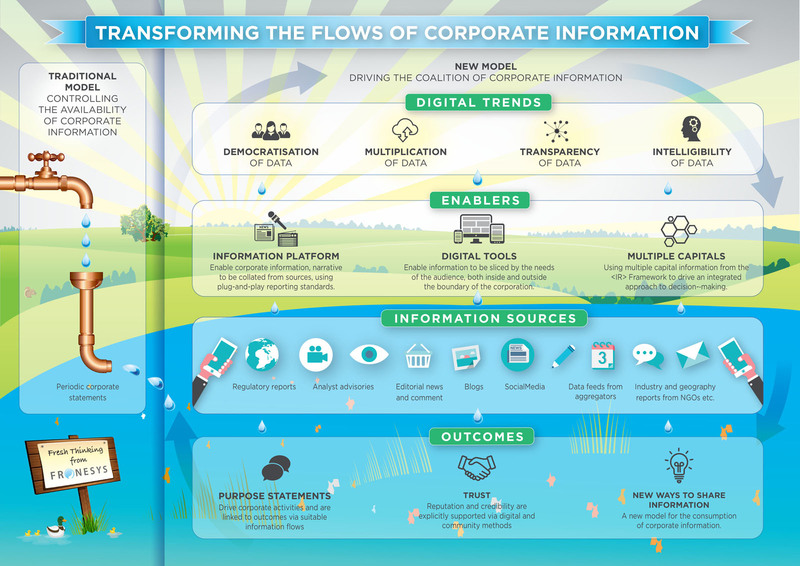 In contrast, 21st century corporate information flows are more like a lake – all participants in the system have the opportunity to use the water (information) in the lake in multiple ways, carrying out numerous processes, including creating, distributing and consuming corporate performance information. Of course, the tap continues to carry out its function in the age of the lake, but it no longer holds sway. It is only one source of water feeding the lake, and already its uni-directional flow is a limitation on its functionality. The entire corporate information “system” is geared around the tap, not the lake. Yet, the lake is being invented around us even as we speak, and this work is taking place without a vision of how the lake serves the purposes of its users, or what controls might apply to the ways in which the lake might be used. Currently, the group that is closest to being the inventors of the lake are the companies providing the enabling technologies. But to let them decide the rules of the lake would be equivalent to letting the producers of the paper used in corporate reports decide the format and content of paper reports. We should not simply expect to transplant a 20th century tap into a 21st century lake. 20th century reporting had a number of limitations anyway: it only served a narrow group of stakeholders interested in financial capital; it was not digitally consumable; it was not as trustworthy as its stakeholders want it to be, to name a few issues. Some of the changes we need to see would be easier to carry out in a modern digital environment such as the lake, including using digital techniques to track the authenticity of transactions, or crowd-sourcing techniques to pull together community opinions. Some of the changes needed are not about technology at all, but the change in paradigm from tap to lake provides an excellent backdrop for carrying out the systemic changes that need to happen (for example, multi-capital thinking). Stephen Kelly, chief executive officer of UK software company The Sage Group, recently stated in a speech hosted by Tomorrow’s Company at the House of Lords: “Capitalism is not dead but it needs a reboot, a complete software upgrade. We are at a new dawn”. The information that drives this system of capitalism is changing every day, getting deeper, longer and wider. We cannot hope to use yesterday’s operating system technologies to drive today’s deeply-needed reboot. Moving from the tap to the lake, as described in this paper, is not a sufficient answer in response to the question facing capitalism, but it does represent an important and necessary component of the answer. A fuller discussion of this topic is available in a Fronesys background paper. To download the Fronesys paper “The Changing Flows of Corporate Performance Information”: please register your interest with Fronesys here. You have the opportunity to unsubscribe at any point.